I’d seen it many times on maps and even looked at it on Google Streetview, but the reality was something else. Afsluitdijk itself dates from 1933 (it took a mere 6 years to build) and is the result of both political and engineering debates and challenges. These are commemorated at the Monument Refreshment Stop two-thirds of the way along the dyke from our northerly direction. 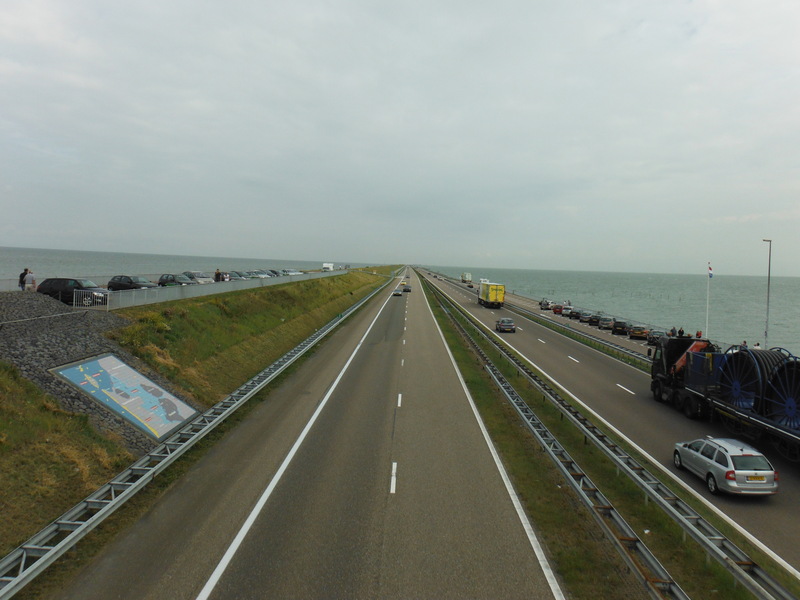 According to Wikipedia (17 October 2013), “work started at four points: on both sides of the mainland and on two specially made construction-islands (Kornwerderzand and Breezanddijk) along the line of the future dike. 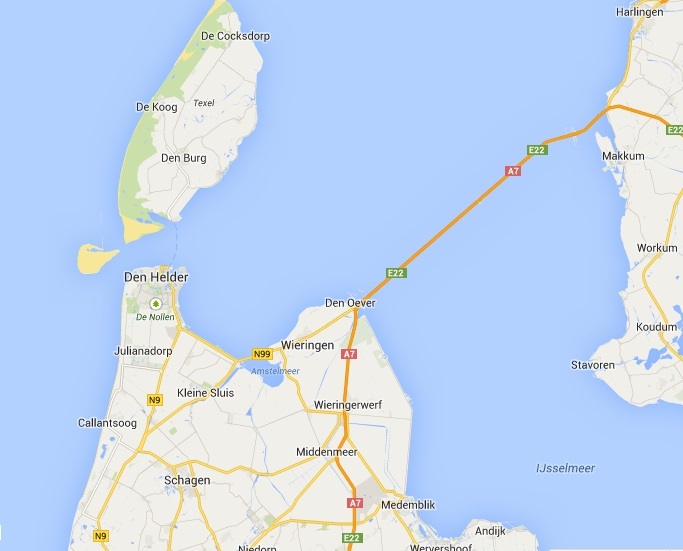 “From these points, the dike slowly grew by ships depositing till into the open sea in two parallel lines. Sand was then poured in between the two dikes and as it emerged above the surface was then covered by another layer of till. The nascent dike was then strengthened from land by basalt rocks and mats of willow switch at its base. The dike could then be finished off by raising it further with sand and finally clay for the surface of the dike, on which grass was planted.” Amazing. It is a busy stretch of road, the cycle track particularly so. Swarms of speed cyclists use it for training as it has a very good surface and is, on the whole, straight and flat. Naturally it is windy. The sense of being in the middle of the ocean is incomparable, at least in Europe. It is quite a ride. Once back on the mainland, it is back to cycle tracks and agriculture. But this section leads to some of the most unspoilt beaches – golden sand and dunes. 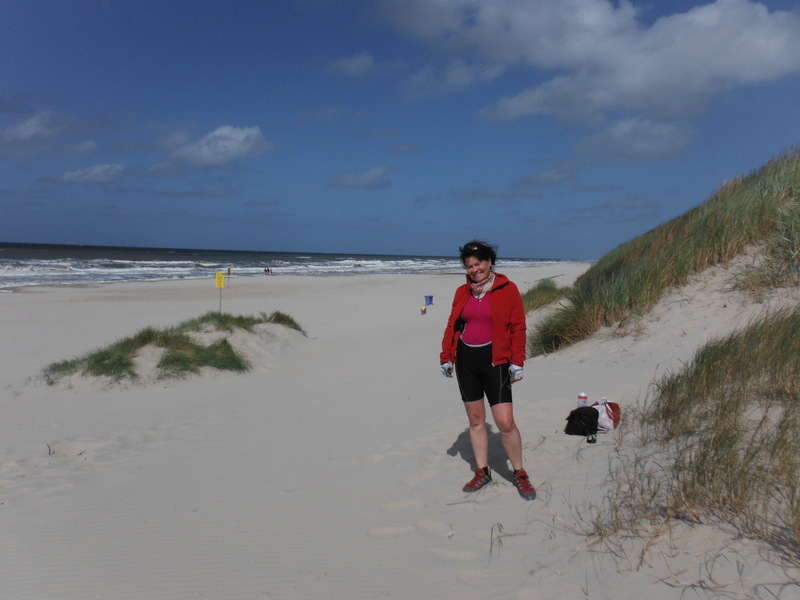 A campsite at Groet provided a suitable place for quick access to the beach the following morning.